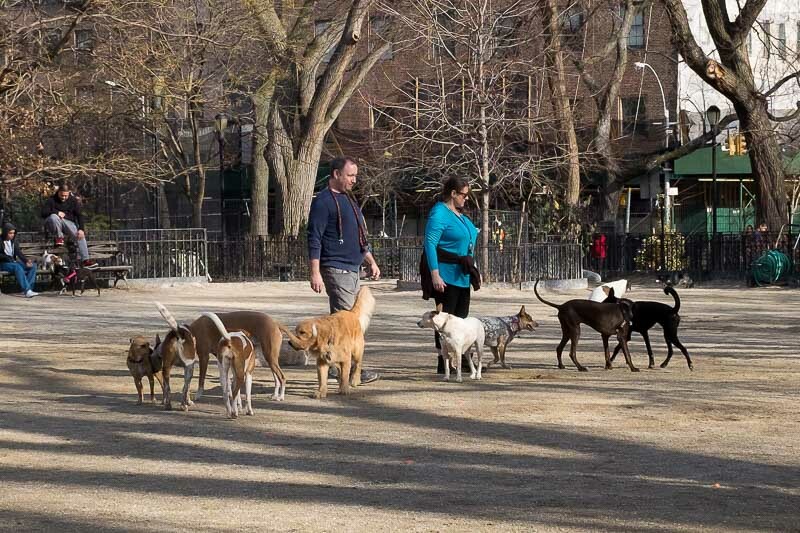 Whether you’re a time served owner who’s moving to NYC with your dog for the first time, or whether you’re a NYC resident owning your first dog, we’d love to share some insight into the ins and outs of NYC dog ownership. Moving to New York City is one of the most exciting things you’ll ever do. It can also be an intimidating prospect, especially if you’re worried about how your dog will cope with the move. We’d like to reassure you that your dog will do just fine in New York. It’s a fantastic place for dogs to live and they have a wonderful time here! The city is full of interesting sights, smells and social opportunities for your dog and most adjust to the change in pace in no time at all. If you’d like to talk with us about moving with your dog to New York City, please feel free to give us a call. We’d love to be of assistance. Of course, if you’re looking for New York City dog walking we would be delighted to take your dog on board and help them find their NYC legs. We’ve helped out with many new NYC dog arrivals and it’s a pleasure to see them adapt! A few weeks and you’ll wonder why you ever worried about bringing your dog to New York City. The city of New York encourages responsible dog ownership. To this end, they enforce the following laws. The City Health Code requires that you have license tags attached to your dog’s collar at all times. They are valid for one year and must be renewed annually. It’s also advisable to get your dog chipped in case they ever go missing. Dogs walked in public must be kept on a leash of no longer than 6ft. And in a city as busy and crowded as New York, this makes perfect sense! We don’t recommend the use of retractable leashes for this reason. All dogs over 4 months old must have a rabies vaccination, renewable every 3 years. Consult your vet about getting your dog immunized as soon as possible if you haven’t already! In NYC it is illegal to tie up or tether your dog for longer than 3 hours. And we would recommend NEVER tying up your dog in a public place, even if it’s just to nip into the store for a quick purchase. Dogs have been stolen! You MUST pick up after your dog in NYC – failure to do so can result in a fine, and is also anti-social and unhygienic! Help keep NYC’s sidewalks poop-free and carry suitable bags at all times. We recommend biodegradable ones! New York law states that you are responsible for the medical expenses of anyone bitten or injured by your dog. If your dog has aggressive tendencies then this is something which should be addressed by a qualified trainer. Dog runs are a great place to let your dog off the leash and allow them to run and play with other dogs. Find out where they are! Fulton Park Off-Leash Area – Chauncey St. bet. Lewis Ave. and Stuyvesant Ave.
Bayswater Park Off-Leash Area – Dwight Ave., Seagirt Blvd. bet. Beach 38 St. and Bay 32 St.
Pelham Bay Park Off-Leash Area – Middletown Road & Stadium Avenue, northwest of parking lot. University Woods Park Off-Leash Area – Cedar Ave., Sedgwick Ave. bet. Hall of Fame Ter. and W. 180 St.
“Dog runs” are fenced off areas designated especially for dogs and typically have a double-gated entrance to stop dogs from running out when people come and go. They are definitely the safest place to give your dog off leash time, although they do rely on the responsibility of owners to make sure that play fights don’t get out of hand. Unfixed dogs can cause tension and conflict and should not be taken inside the run. Toys are also prohibited, although you will see that many owners ignore this rule! “Off leash areas” are situated in parks and are places at which you can let your dog run free during designated times. Unlike dog runs however, they are not fenced off and so you should avoid letting your dog of the leash here unless you are confident that they won’t run off. Again, responsible ownership is expected and enforced socially. It’s a good idea to thoroughly check whether an area permits off leash dogs because there are parts of New York in which dogs are forbidden to even walk on the grass, and you might well experience the wrath of a Parks Department officer and even a hefty fine!